Uncertainty exists almost everywhere. 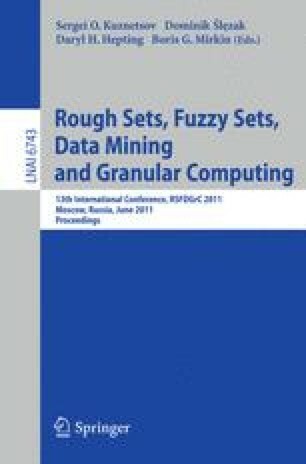 In the past decades, many studies about randomness and fuzziness were developed. Many theories and models for expressing and processing uncertain knowledge, such as probability & statistics, fuzzy set, rough set, interval analysis, cloud model, grey system, set pair analysis, extenics, etc., have been proposed. In this paper, these theories are discussed. Their key idea and basic notions are introduced and their difference and relationship are analyzed. Rough set theory, which expresses and processes uncertain knowledge with certain methods, is discussed in detail.